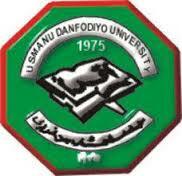 Usmanu Danfodiyo University, Sokoto [UDUSOK] Resumption Date for Fresh and Returning Students, 2018/2019 Academic Session. This is to inform all students of the Usmanu Danfodiyo University, UDUSOK that the management has announced the resumption of 2018/2019 academic activities following the suspension of the nationwide ASUU Strike. All fresh and returning students are expected to resume on Monday 25th February, 2019. Registration exerciser for all students commences immediately. SEE ALSO: UDUSOK Academic Calendar Schedule 2018/2019 [Amended Version].